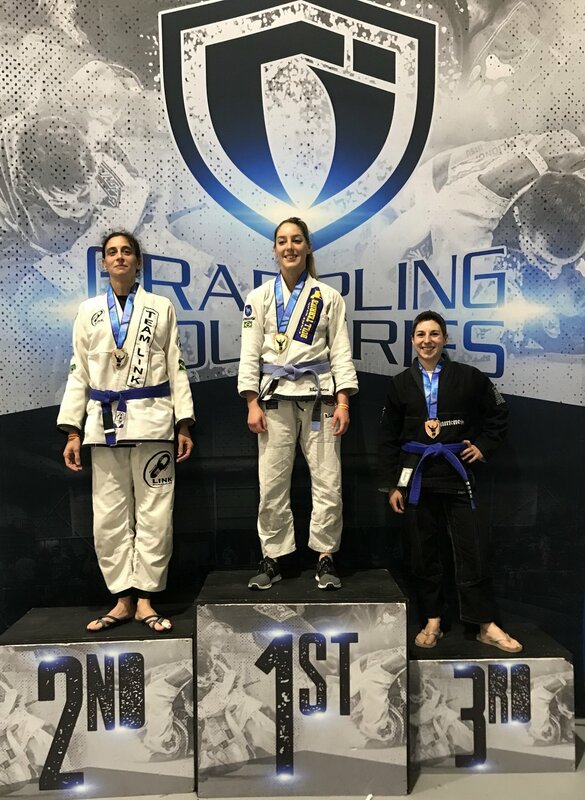 This past weekend was our team’s second experience with a Grappling Industries tournament. Like the one in May, it was a smaller tournament, so we brought only a small subset of our competition team. And by “small subset”…I mean myself. It feels strange to write a blog post centered around my own tournament results, but for the sake of consistency, here goes nothing! I had originally signed up for the 135-lb masters division, but even after brackets were combined for more matches, I only had two competitors, one of whom was also in my No-Gi bracket. So I asked to fight up a weight class for more matches and more variety. Grappling Industries delivered, and I ended up in a four-person bracket with three of the toughest ladies I’ve ever had the honor of competing against. I won my first match by points, lost the second by points, and lost the third by submission, thus obtaining a bronze medal. While I wish my results were better, I’m still proud of the effort I put in; I lost those two matches, but I believe I made my opponents work for their wins, just like I had to for mine. All in all, I’m very happy that I switched to a tougher bracket. 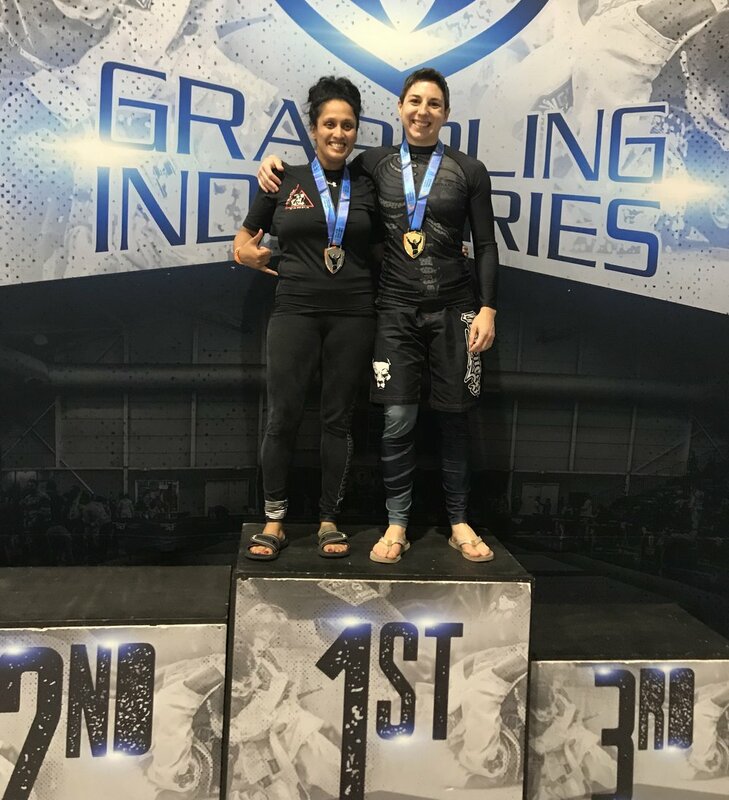 There were only two of us in my No-Gi division, and we were both tired and ready to go home by the time we were called to compete. Therefore, we opted for “one and done” instead of best two of three. Despite being exhausted, hungry, grumpy, and even a bit silly, we managed to have a great match where I ended up taking gold via submission. And that’s it! I’d like to thank all my teammates for helping me prepare, as well as Coach Daniel for the same reason, plus shelling out $15 to yell things at me from the coach’s chair. And of course, huge thanks to Coach Jeremy for taking over class while Daniel and I were off representing our team. I can’t wait for the next one!